BETTER SOUNDING MUSIC MAKES YOU HAPPIER. Whether playing in the background while doing something else, or actually putting our attention directly on it, few things bypass our busy minds and go straight to the soul like music. Few things have such a powerful, positive effect on our mood. It worked when we were kids and it works now. And now the pitch, but a softball: if you like music and haven’t heard it through a good quality system, you’re missing a huge amount of the enjoyment. Even in the kitchen while you’re cooking, at your desk (we’re computer audio experts btw) or in your living room, media room or den – hear ‘good’, and you won’t want to go back, even playing in the background. Let us show you, and we can do so at a variety of price points. In a home theater, quality surround sound puts you in the sports arena, cinema, or concert hall. It ups the ante on realism, bringing you several steps closer to the actual event or movie. We’re all for progressively bigger screens here at Outreach, but quality surround sound is equally important to elevating the experience. We are also expert at distributing music around and outside the house – our focus as always is on sound quality and ease-of-use. Hegel has been making audio electronics in Norway for over 30 years. Their overarching concept is 'organic sound', which could be marketing nonsense, but in Hegel's case means unique, patented technologies such as SoundEngine that you can hear. 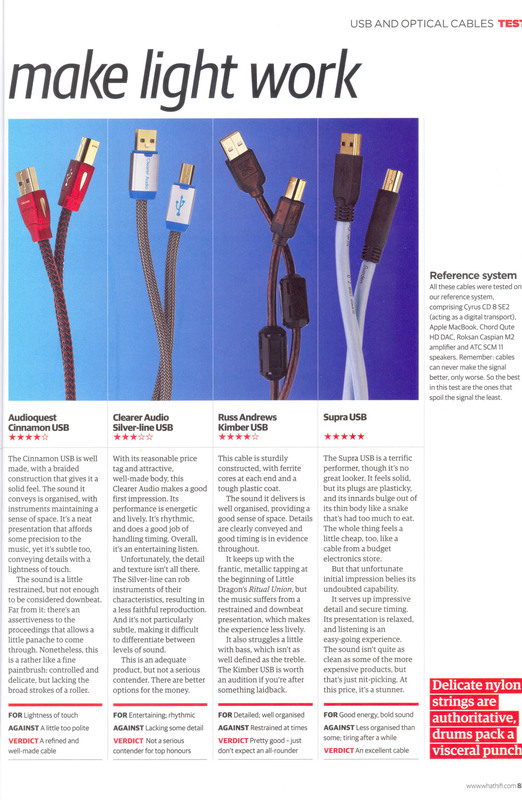 These technologies contribute to Hegel winning regular awards including the EISA (European Audio) DAC of the year award in 2016-17 for the HD30, and the H190 streamer/dac/amplifier (a killer piece and value!). We carry Hegel at Outreach because of the purity and integrity of the sound and the value of each of its components throughout the line. The sound is easy, smooth, transparent and forceful, with some of the cleanest high frequencies found in solid state electronics. Hegel is state-of-the-art performance without the stupid pricing that afflicts much of the audio industry at this level. Made in Norway, the equipment is rock-solid reliable and will last for years and years. You can upgrade your speakers, but it's very unlikely that you'll need to upgrade these amps. We have several pieces on display here at Outreach. Paradigm is a ‘tentpole’ brand at Outreach A/V because they’re at the peak of the value curve in every category of product they build. Be it sleekly designed, 7.1 home theater systems, in-walls, or high-end floorstanding loudspeakers such as the Prestige 95f, you won’t find better performance per dollar. Most speaker manufacturers buy their drivers (woofer/tweeter/midrange) from other companies and package them into a box. Paradigm builds their own (and their own cabinets), ensuring they'll work together optimally. This bottom-up design and quality control is audible. And most speakers are assembled in their state-of-the-art Canadian facility, the craftsmanship is outstanding with choices to fit with any decor. They also make some of the best subwoofers ever to rock the planet. Now in their 40th year of operation, NAD has been making top quality audio gear for about as long as anybody. There are trendier brands out there, but the longevity of NAD is indicative of deep commitment to quality value. From the start, the designs have always been extremely quiet with excellent power reserves providing prodigious headroom. Your money goes into the guts that matters – transformers, output stages, all discrete circuitry – producing components that sound more powerful and engaging than than their cost and specs suggest. In head-to-head competitions they regularly outpoint the competition. Further, with the introduction of the Modular Design Concept (MDC), components can be easily reconfigured for reasonable prices to add capability. It’s as easy as plugging a new module into a slot in the back of the amp. New modules such as the latest HDMI video switcher and the BluOS streaming module take obsolescence off the table as technology moves forward. The Masters series are state-of-the-art components at real world prices. From the all-digital pathway of the M2 integrated amp to the Atmos capable Dirac Live room correction (state of the art) M17v2 surround processor to the M50.2 streamer, NAD is at the cutting edge of performance. 'NAD’s modular-upgrade strategy endows V3 of the T758 with bleeding-edge room correction and audio streaming without impairing its excellent sound.' A Sound+Vision top pic. State-of-the-art value. PS Audio's top line BHK amps and preamp compete with anything out there regardless of price. Tube/solid state hybrid designs, you get the grip of transistors with the dimensionality of tubes. Outreach has been a fan of this design type since the Llano (RIP) hybrids of yore. And on the subject of yore, Paul McGowan, the founder of PS, has been designing overachieving-per-$ electronics since the days of the legendary Sumo amps and the Superphon preamp. It takes experience to appreciate experience -- design savvy yields class-leading sound, and it's made in Boulder, Colorado. Anthem started life as Sonic Frontiers, a maker of high performance vacuum tube and solid state stereo gear. Although their focus now is home theater, the emphasis remains on sound quality. You can find more features per dollar, but not better sound. And hey, 95% of the non-essential features on most home theater gear goes unused anyway. Go with Anthem -- they put the money into the signal path and amps, the stuff you hear, the stuff that makes movies, tv and sports exciting and immersive. Further, the Anthem Room Correction (ARC) system in their home theater equipment (and Paradigm subwoofers) is second to none in dealing with inevitable room modes that muddy bass response and the presentation as a whole. You don’t have to be a gearhead to immediately hear and appreciate the difference. The AVM60 11.2 Atmos Prepro is unrivaled at its price point, and there is high value throughout the receiver line. These are as a fine a loudspeaker system as you can buy. The band or orchestra appears in three dimensions in front of you as if carved in the air. Add in concert-like dynamics and power, deep, clean bass, and very low distortion – it is a transporting experience. I'll be frank, at every audio show I attend, I check out all the heavy hitters: Wilson, Focal, Magico, et. al. All are big and bigger boxes, all are obviously good speakers, but none disappear and give the sense of live performance like the Scaenas. I go with an open mind, but this is what I've found year in and year out. This is why I'm a dealer and an owner. Regarding the 'live' experience, see the comments by Andrew Quint below, noted reviewer for The Absolute Sound. Details: the speakers are’ Iso-Linear Arrays’. Line arrays (multiple stacked drivers) are common at concerts, and the Scaenas capture the excitement of live music. Advantages to this design include a dispersion pattern that minimizes deleterious floor and ceiling reflections in the room and greater signal to noise ratio over single driver designs. Scaena takes the design further by foregoing the big, resonant, vibrating box these designs are often housed in. Instead, each midrange driver is in its own small, inert molten glass 'pod' (hence the 'Iso') shaped to eliminate vibration and optimally project the driver's sound. A programmable digital crossover seamlessly blends the powerful woofers into the system. Come by and we'll tell you more. Or better yet, we'll shutup and you can just listen. As you will see, they work extraordinarily well in a home theater setup as well as for music only. Regular winners of ‘Best of Show’ awards, they are also the coolest-looking speakers on the planet, available in any color you can imagine. Best of Show, Axpona 2016 - The Absolute Sound. The Chicago Axpona show is rapidly becoming the most important domestic audio exhibition. Scaena won over every other major brand. Note that the base Scaena configuration is a third the price of the show setup, but has a the same sonic characteristics. The monumental Scaena La Maitresse Ultime (Sunny Umrao and his crew were still not close to tearing it down two hours after the show ended) featuring the $125,000 isolinear array plus multiple subwoofer. Orchestral music was presented with a scale and sense-of-occasion as close to a live experience as I’ve heard. Bluesound is multiroom audio done right. From its standalone music players and soundbars to it network streamers, it's the finest value in whole house audio today. Quality-wise, it clearly outshines Sonos, and does so at similar price points. Further, and unlike Sonos, Bluesound supports high resolution audio and MQA (Master Quality Audio), formats that provide the best musical signal possible. As a music streamer or amplifier to feed your existing system or speakers, sound quality equals far more expensive components. And the system has grown out at this point to include a soundbar and wireless surround sound. As important, the Bluesound app is mature at this point; stable and easy-to-use unlike many music control systems out there. It integrates seamlessly with most music services such as Spotify and Tidal, bringing all your music into one place, easily accessed. All the components have a clean, sleek and unobtrusive industrial design -- they fit into any household environment. NAD is the engineering mind behind Bluesound and they've show the rest of the industry how multiroom/whole house audio should be done. Bluesound has won 2016 What Hifi award for best multiroom system, the third year in a row it's done so. Call to scehdule a demo of this impressive system.. The Clue is the best sub-1K speaker we’ve heard and embarrasses a lot of the more expensive stuff out there. About the volume of a shoebox (size 11.5), the Clue sounds so much larger there’s a disconnect – must be a bigger speaker hiding somewhere. Or a subwoofer at least. … mixed with the real world. Unlike most speakers, The Clue is designed to be placed against wall, exactly where most speakers end up. Doesn’t need to be out in the middle of the living room like a stunt pylon to sound its best. The Clue is made in Seattle, WA of the USA. Note the header on the website: ‘No Nonsense’. We like that here at Outreach. This means high quality design, materials and construction, without the frankly stupid pricing that permeates much of the A/V cable industry. Whereas some cables are ‘voiced’ to provide a particular sound, Supra cables transmit the music (and video) signal purely and neutrally without loss or noise. This is exactly the job of a cable – nothing less and nothing more. Let the rest of your components do the talking. Designed and built to precise standards in Sweden. The 356BEE forcefully yet sweetly drives the Clue speakers and has the power reserves to fully exploit the speakers’ outstanding dynamic capabilities. Excitement, finesse, delicacy and incomparably huge sound for the money. Looking for the music to get your blood pumping, or you maybe you just want to some relaxing tunes – this is a system that can swing both ways. Just feed it music from your computer or DVD player. As the cliché goes, if you can find better sound for the money, buy it. The system is tied together with top quality Supra cables. For a step up, swap in the NAD 375BEE or NAD 390DD integrated amps for even more powerful sound with extended bass, detail, depth and finesse.